In 2016 the exhibition was held under the slogan: "Not surrendering position". Leading manufacturers are returning to the Russian market. 97 exhibitors (14 of which participate for the 1st time in the exhibition). 12 countries: Russia, Belarus, Germany, Austria, Slovenia, Italy, France, Switzerland, Czech Republic, Poland, Israel, China. The exhibition was sold equipment at stands of participants. The total exhibition area in 2016 amounted to 3015 sq. m.
54% of leading specialists of companies, engaged in search and selection of equipment: the heads of departments, chief technologists and engineers, project managers, metallurgists, specialists in procurement. 95% of exhibitors concluded agreements on further cooperation, have reached agreement on future deliveries, received the requirements specification for the development of equipment, testing of prototypes and testing materials. 83% of participants confirmed their intention to participate in the exhibition in 2017. JSC "LOIP" (Russia, Saint-Petersburg), A. E. Afanasiev, Head of instrument production. 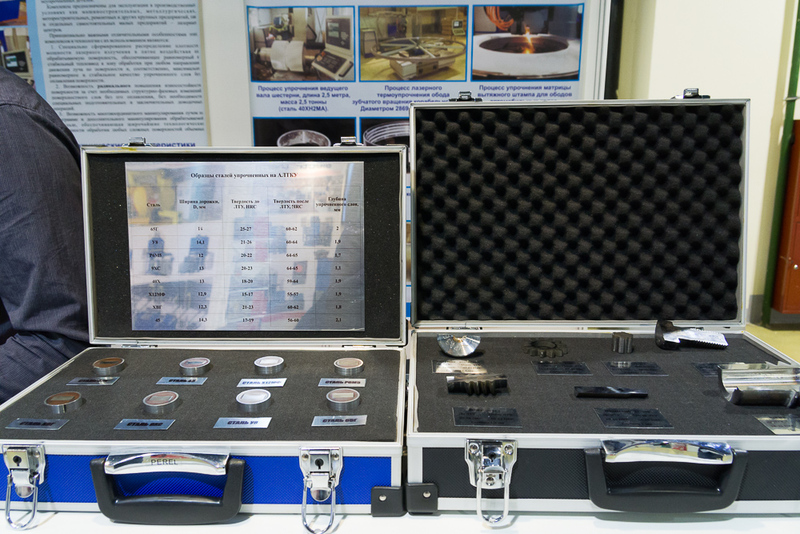 JSC "Laboratory equipment and instruments" participated in the exhibition "Heat treatment" for the first time. 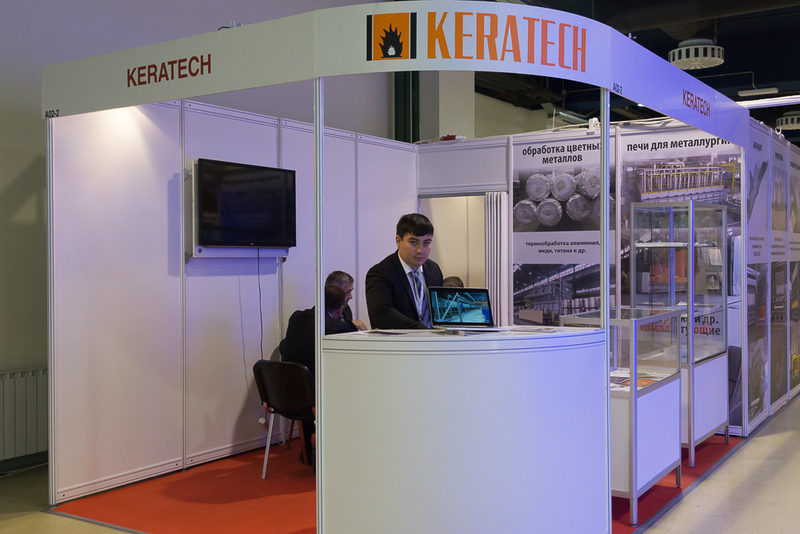 At the exhibition we exhibited ovens, muffle furnace, tube furnace and coal mine. Visitors of the booth were interested in all the specimens, without exception, as well as laboratory equipment. 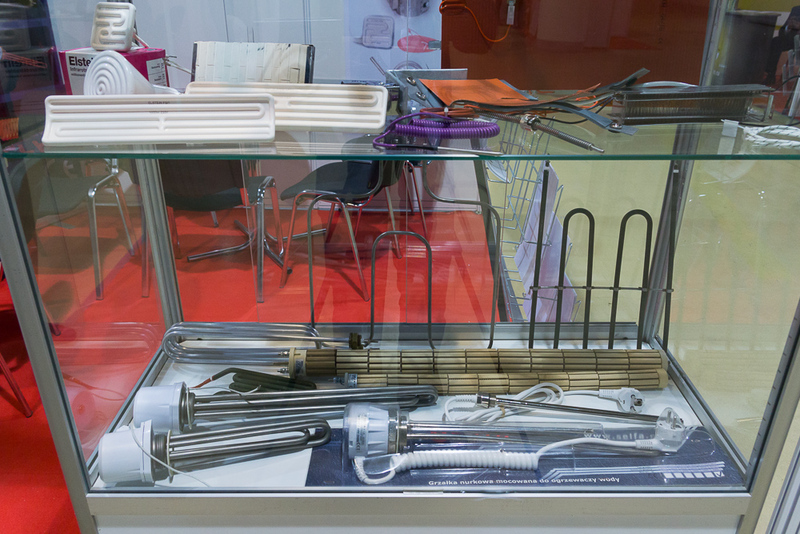 During the exhibition some items of equipment were sold from the stand, arrangements for future deliveries. For our company heat treatment is a new business segment, and from this interest. We are very pleased with the participation! At the exhibition our company presented automated systems for laser thermal strengthening ALTCU-3, ALTCU-5 and intelligent robotic system "Svarog". For the entire period of work at the event, our booth was visited by more than 200 experts. Some preliminary agreements on further cooperation were signed. Our company participated in the exhibition for the 1st time. 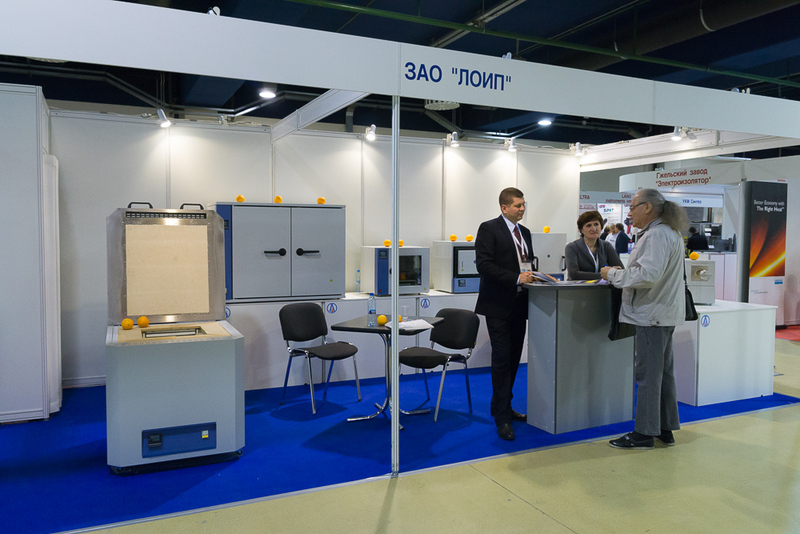 At the stand materials on industrial furnaces and refractories were presented. I believe that the event was successful, it was held many interesting conversations. Our stand was visited by about 50 experts, explored specific terms of reference and prepared a preliminary agreement. 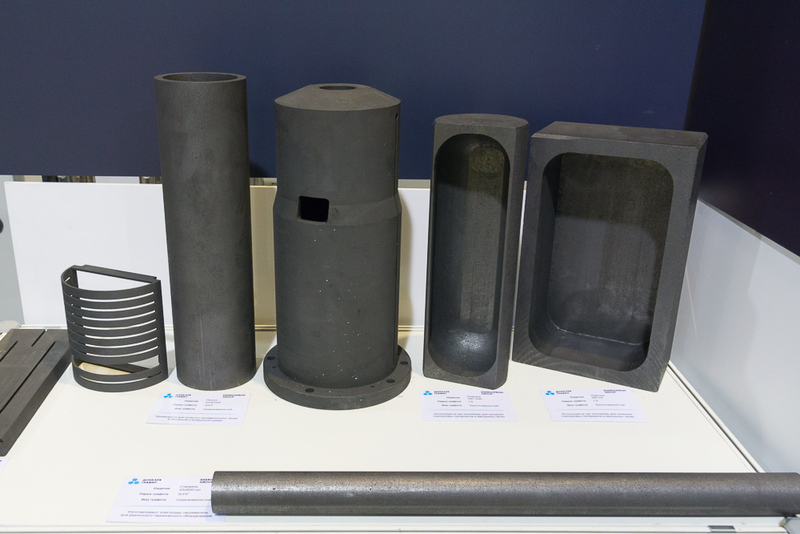 Our company exhibited shaped articles of artificial graphite and composite materials. Visitors were actively interested in the heaters, rings, bushings, insulation, powder materials and composites. We got new contacts and requests for products. As well as requests for testing of material. SGL Carbon GmbH (Germany, Bonn), V. D. Soklakov, Representative in Russia. Preparation and composition of exhibitors and visitors are excellent, we expected less! From visitors fo the stand we received preliminary requests. Agreements were reached on the preparation and testing of prototypes. 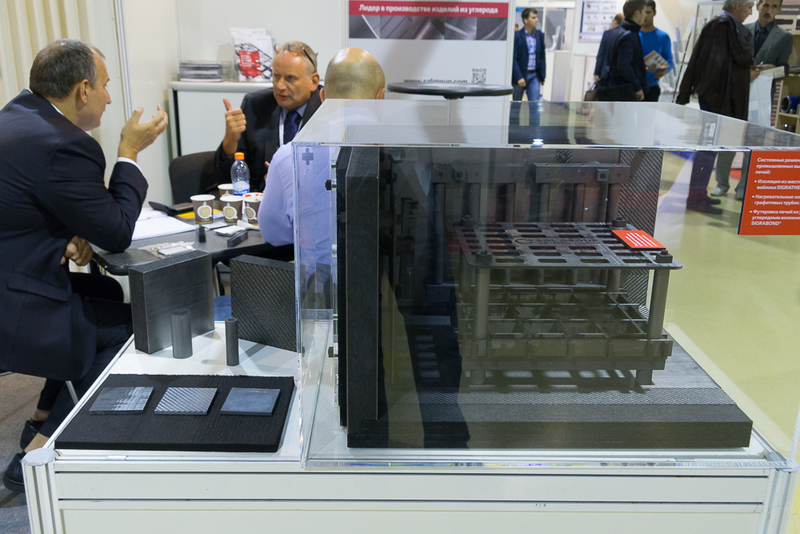 Demonstration model of a heating unit for vacuum-heat-treatment furnaces and material samples for the heaters were presented at our stand. Varus, OOO (Moscow, Russia), Novikov A. G.. CEO. Advertising campaign in leading industry publications: over 50 publications and portals in Russia and abroad (Belarus, Kazakhstan, Germany, Austria, Spain, China) covered the preparation of the exhibition and her work. Distribution of information: all the subjects of the Russian Federation, CIS countries, Western and Eastern Europe, Asia. - Installation of ultrasonic RAS and LTI for ultrasonic cleaning, degreasing, degassing, intensification of chemical processes, etc. - Gas and oil burners, gas supply systems and automation. Pulse burner management system. Control cabinets furnaces. Heating elements. - Steel castings, heat resistant. Furnace equipment and industrial equipment for heat treatment: heat exchangers, trays, grids, baskets, supports, fittings, impellers, radiant tubes, retorts, rolls, etc for all types of furnaces. - Carbon and graphite structural materials and shaped products with special properties, the carbon-carbonic materials, pyrolytic graphite, products of ATM (anti-Corrosion gravitophotons heat-conducting Material). Isostatic graphite. - Commissioning a professional installation, maintenance, and repairs furnaces and heating equipment. According to the service of the guest exhibitions of Expocentre Fairgrounds for the whole exhibition period it was visited by 2780 of unique specialists. JSC "NPTS in gas turbine construction "Salut", NPTS SCREEN, OOO GK ARMA", FSUE "CRISM "Prometey", JSC "NPP "Geofizika-Cosmos", KBTM (Manufacturing defence industry), FSUE VEI, JSC RPZ. FGUP "NPO "Tekhnomash", JSC "research Institute "Polyus" them. M. F. Stelmakh, CB "Tochmash", Head branch of "NPO "Vint", JSC "cs "Zvezdochka", JSC "OK-Loza" JSC, "Technoceramica", JSC Central design Bureau tank construction JSC, "Tsentromashproekt" OOO "MTM", JSC "plant "Mars", JSC "Saturn – Tool Plant" (JSC "Satiz"), Glatt, JSC Company "TUNGSTEN", JSC "the Second Moscow instrument-making plant", JSC "Plant "FIOLENT", OOO TULACHERMET-STEEL" LTD Corporation "the Alloy"-LTD. OOO "PROFESSIONAL" of operations of JSC Transneft Volga region, JSC NPP TECHCETERA, JSC Oktava, OOO "Plant "Dynamo", "Gazpromexport center", NGO "STOIC". ZAO PKF Sauter, JSC "machine-building plant", LLC "Aerometall", Hangar, JSC "MZIK", JSC "machine-building plant imeni M. I. Kalinina, g. Ekaterinburg", LLC"IC "ARSENAL", JSC "VNIINEFTEMASH", "Novomoskovskaya", JSC NPP ISTOK they AI", THE JSC "development Corporation of Ulyanovsk region", CMES-SERVIS, OAO Transmash, SSC FSUE "Keldysh research Center", ROSMEDPROM, ZAO PKF Promkhim-Sphere", FGUP "VIAM", JSC "Ramensky Instrument engineering Plant", OJSC "Fomos-Materials", JSC "Tulatochmash, PDA NISMA, OOO KRIOTEK, Technopark "Impulse" PTO "Wave", physics and energy Institute named after A. I. Leipunsky, NGOs, energy system, OJSC NIAT, JSC Transmashholding, JSC SOATE, OKB "Novator", JSC "Corporation VSMPO-AVISMA", JSC NPO "ntes", JSC "MSZ", NPP Tekhsistema", JSC "TYAZHMASH", LTD Energol, NPO Energomash, JSC "Satiz", FGUP "NII NPO "LUCH", FSUE TsNIGRI, PC Fighter, JSC Aviabor, operations, Transneft Volga region", Bulletstar, JSC "Corporation "Tactical missiles", JSC Kostroma plant of automotive components and many others. The 11th international specialized exhibition "Heat Treatment - 2017" will take place on Sepember 18 - 20 at the Expocentre Fairgrounds, Hall 1, Рavilion 7.